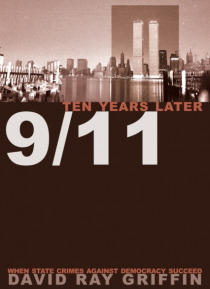 On the tenth anniversary of the Septemer 11, 2001 terrorist attacks, David Ray Griffin reviews the troubling questions that remain unanswered9/11 Ten Years Later is David Ray Griffin's tenth book about the tragic events of September 11, 2001. Asking in the first chapter whether 9/11 justified the war in Afghanistan, he explains why it did not.In the following three chapters, devoted to the destruc… tion of the World Trade Center, Griffin asks why otherwise rational journalists have endorsed miracles (understood as events that contradict laws of science). Also, introducing the book's theme, Griffin points out that 9/11 has been categorized by some social scientists as a state crime against democracy.Turning next to debates within the 9/11 Truth Movement, Griffin reinforces his claim that the reported phone calls from the airliners were faked, and argues that the intensely debated issue about the Pentagonwhether it was struck by a Boeing 757is quite unimportant.Finally, Griffin suggests that the basic faith of Americans is not Christianity but "e;nationalist faith"e;which most fundamentally prevents Americans from examining evidence that 9/11 was orchestrated by U.S. leadersand argues that the success thus far of the 9/11 state crime against democracy need not be permanent.